Mikimoto is the world renowned Japanese empire founded by Kokichi Mikimoto in 1893. Mr Mikimoto was the first to develop the technique for the cultivation of pearls. Today, almost all pearls sold worldwide are cultured pearls. Mikimoto remains the world leader in superior quality cultured pearls and is internationally respected for its product design, crafting techniques and strict quality control. Mikimoto are proud to introduce their new Bridal Jewellery Selection. These impeccable items have been selected to match the beauty, prestige and emotion of that special occasion. 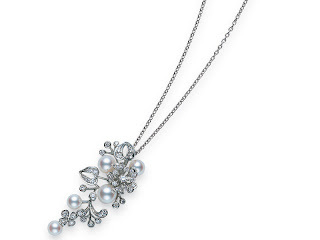 Mikimoto’s Bridal Jewellery Selection combines several key pieces.